New Horizon is set to begin its up-close observation of Pluto in January 2015.
camera (NASA) A drawing shows the New Horizons spacecraft approaching Pluto and its largest moon, Charon, in July 2015. 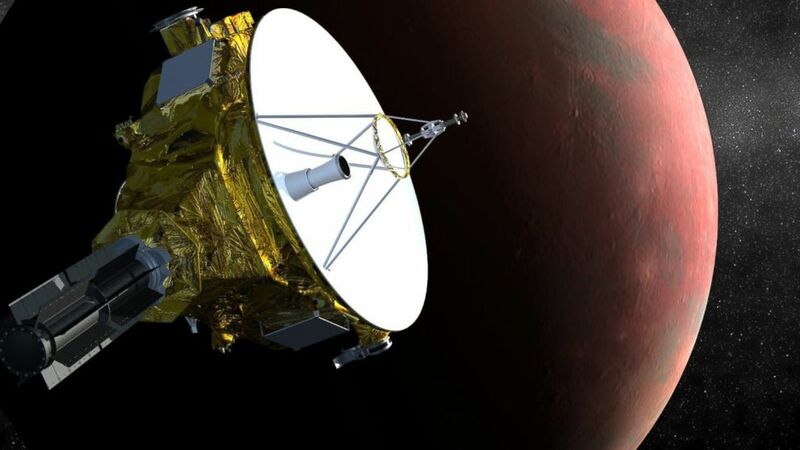 A spacecraft is set to awake from hibernation soon as it prepares for its upcoming close encounter with Pluto. NASA's New Horizons spacecraft is set to awake on Dec. 6 from the last of its 18 hibernation periods and prepare for its initial approach towards Pluto, which will take place on Jan. 15. The spacecraft is scheduled to come as close as 6,200 miles from the surface of Pluto on July 14, 2015 -- the closest any man-made object has come to the dwarf planet. The mission marks the first visit outside Neptune's orbit to the Kuiper Belt, which consists of Pluto and thousands of objects that have not yet been identified, according to Spaceflight Now, a space news website. "This is the first look at this new zone of rocky, icy planets," Michael Buckley, a public information officer for John Hopkins University Applied Physics Laboratory told ABC News. "This is what New Horizons is supposed to do." 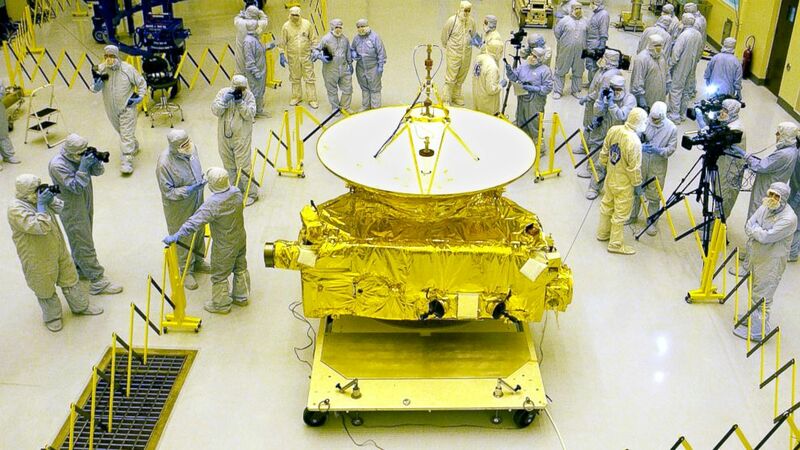 New Horizons is currently 2.9 billion miles from earth and was launched in January 2006 atop an Atlas V rocket. Pluto at the time was still considered a planet, with scientists later that year voting to demote its status to that of a dwarf planet. 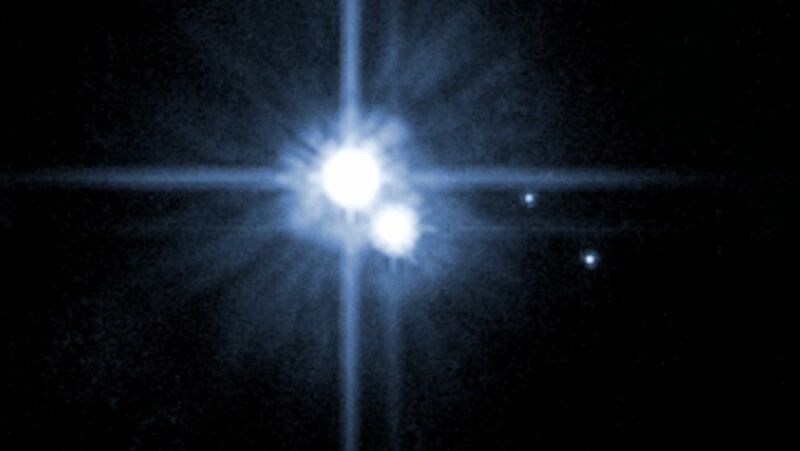 (UIG/Getty Images) A Hubble Space Telescope image released by NASA in 2006 shows Pluto and three of it's five moons. The spacecraft has over the last nine years frequently gone into hibernation for various amounts of time ranging from 36 to 202 days, all of which adds up to five years in total, to help conserve power and allow scientists time to make plans for its exploration in space. It transmits a beep once a week to alert scientists that it is still functioning properly. Once awakened on Dec. 6, New Horizons will transmit radio signals that will reach the Mission's control center, located at the Johns Hopkins University Applied Physics Laboratory in Maryland, in about four hours at 9 p.m. eastern time. (SSPL/Getty Images) An artist's concept shows the New Horizons's Spacecraft approaching Pluto. Scientists plan to use the next six weeks after it wakes to check its memory, navigation and other functions, starting the observation phase in January, taking photos and measurements of the dwarf planet and its moons while also observing its atmosphere and how it interacts with the sun. 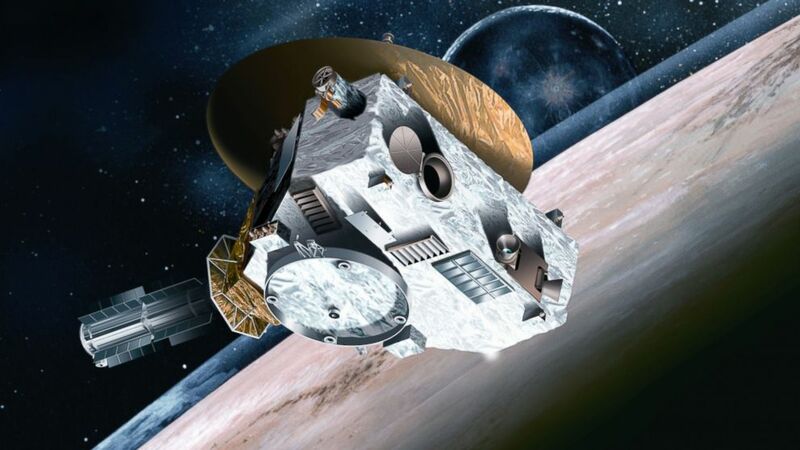 "This is really quite an epic journey," Alan Stern, the lead investigator for the New Horizons mission from the Southwest Research Institute in Boulder, Colo., told Spaceflight Now. "Three billion miles across the entirety of our planetary system, from the inner planets to the middle solar system to the third zone -- the Kuiper belt -- and for the first time. No voyage like this has been conducted since the epic days of Voyager, and nothing like it is planned again." (Bruce Weaver/AFP/Getty Images) Members of the media garbed in protective uniforms view NASA's New Horizons spacecraft on Nov. 4, 2005 at Kennedy Space Center in Florida. The observation period will continue until April, with scientists predicting to have very clear imagery of the planet and its surroundings by May, better than those of the Hubble Space Telescope. New Horizon's will transmit the information throughout 2015 and most of 2016, ending transmission late that year, according to Spaceflight Now. Scientists are hoping that NASA will continue to fund and extend the mission to allow for further exploration. "The hope is that it will encounter one other Kuiper Belt object," Buckley told ABC News.